Once again, we’ve reached that part of the day when it’s all about becoming the proud owner of some excellent tech, without having to part with lots of cash in the process. 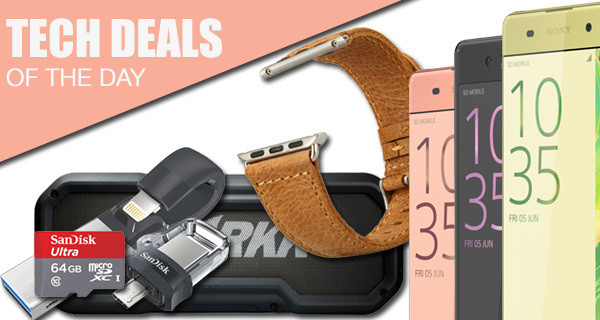 Take a look through our curated technology deals, and if anything immediately jumps out, make sure to act quickly before they are gone. Starting off, dive into the excellent sale on multiple storage contraptions such as microSD cards, USB flash drives, wireless storage drives etc. 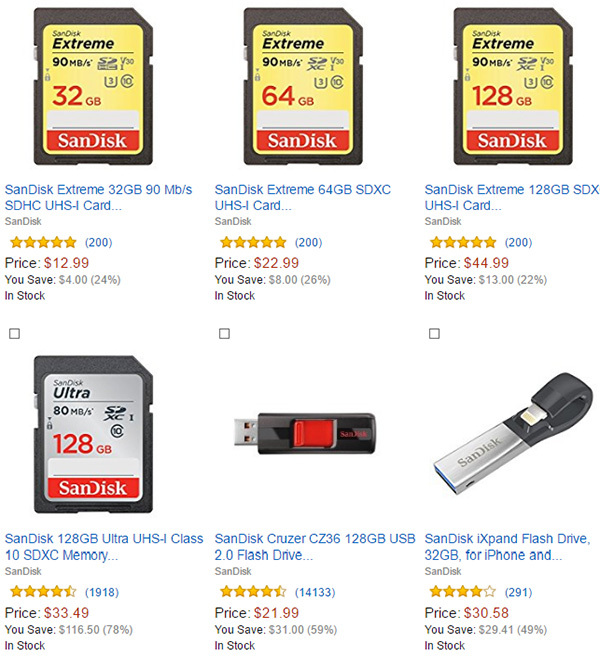 – all from SanDisk, with up to 40% off! Moving on, there’s also a deal to have on Sony’s Xperia X range of Android smartphones. There’s the Xperia X, XA, and X Performance in different colors and storage capacity with discounts of up to 25%. If you were looking for a quality Android smartphone, it hardly gets better than this. 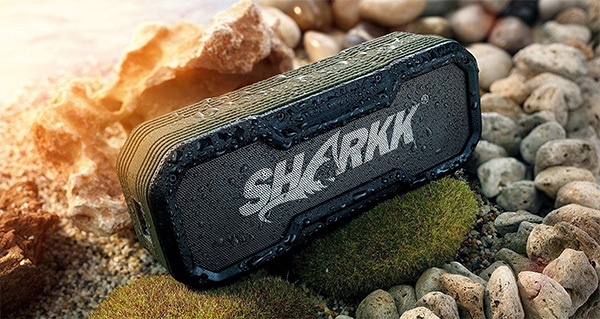 For the audiophiles, there’s a rugged little wireless waterproof speaker from Shark which boasts an incredible 24 hours+ of battery life. 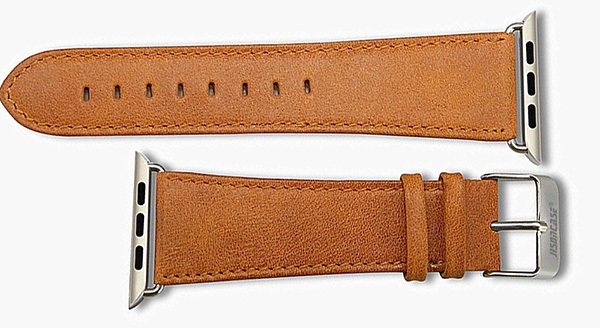 Last but not the least, is a beautiful third-party Apple Watch leather band going for a mere 19 bucks! As always, the deals listed are time sensitive and subject to stock levels. If there’s a product in here that you have your heart set on, make sure you act quickly before the offers expire. What is much better than being offered one memory-based product, with one internal capacity, with a single discount? Well, being offered the choice of multiple products, with multiple capacities from a single reputable supplier, of course. You may want to choose a 64GB microSD option to store some additional photographs on a digital camera or smartphone. You may need some more space, and opt for one of the Ultra 200GB options for just $58, among others. Whichever you choose, you’re guaranteed to make a saving and get a great product. Everyone loves discounts. And everyone loves discounts on excellent technology, such as this limited time only 25% offer on selected Sony Xperia X/XA/X Performance Android smartphones. 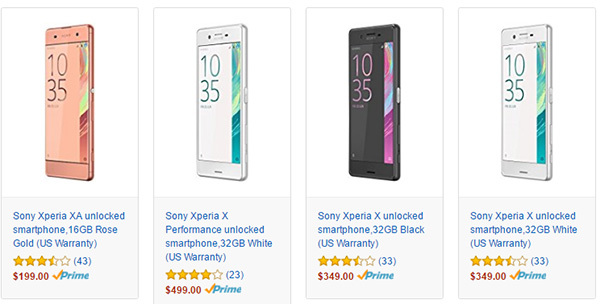 Starting from as little as $199 for a 16GB Rose Gold unlocked Xperia XA, you can get a fantastic array of devices powered by Android, featuring the excellent Sony hardware, with great discounts. Choosing to part with $499, will get you the 32GB Xperia X Performance in stunning Black or Lime Gold. Music on the move is what it’s all about, and that’s exactly what you get with this rugged little Bluetooth speaker. Not only does it offer an IP65 rating, but it comes in a compact little design, has Bluetooth 4.0 for long range and better connectivity to mobile devices, and even comes with a carrying bag, wrist strap for security and al associated charging cables. And get this, it even doubles as a parable power bank with a built-in 6,600 mAh battery. If you own an Apple Watch, you could swan into an official Apple Store and part with a ton of cash to get a brand new leather band for it. Or, you could look for a third-party solution like this stunning brown leather band with metal clasp. It comes with a premium finish that should rival any official model, as well as being extremely soft and comfortable to wear, which are, of course, extremely important aspects of any band. Oh, and it’s a fraction of the cost of Apple’s official offerings.